Every girl has a story, and yours begins when you build and style your Mega Bloks American Girl Mini-Figures! With 8x unique figures to choose from, you can create a diverse world of girls with a variety of truly distinct looks! Each figure is customizable, highly poseable, and comes with her very own trendy accessory. Create cute ensembles with other figures from the line and faithfully customize them to look just like you and your friends! 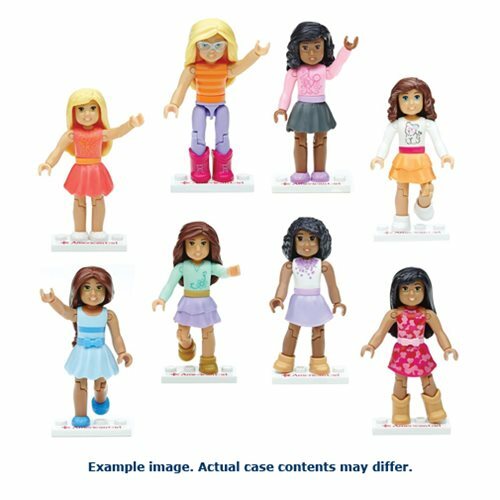 The Mega Bloks American Girl Mini-Figure Case includes 24 individually packaged mini-figures (subject to change).